This was a fun one. 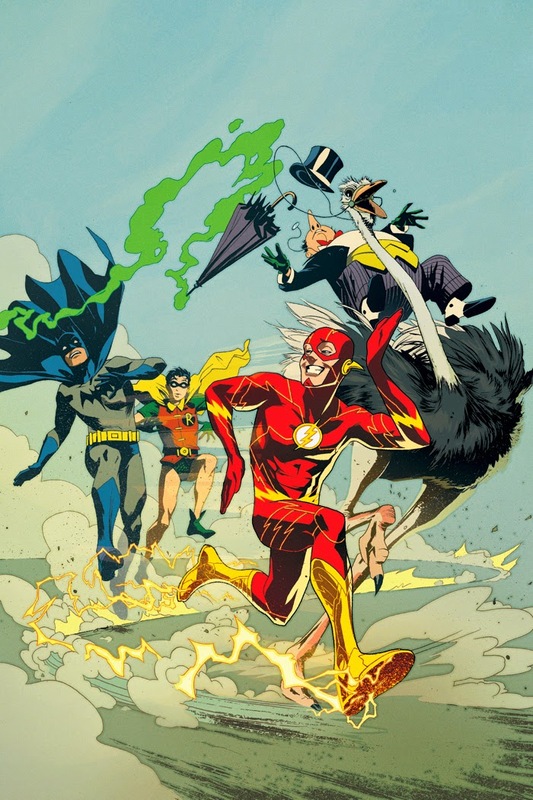 To mark the 75th anniversary of The Flash character, DC Comics has him running through the covers of a bunch of other books. 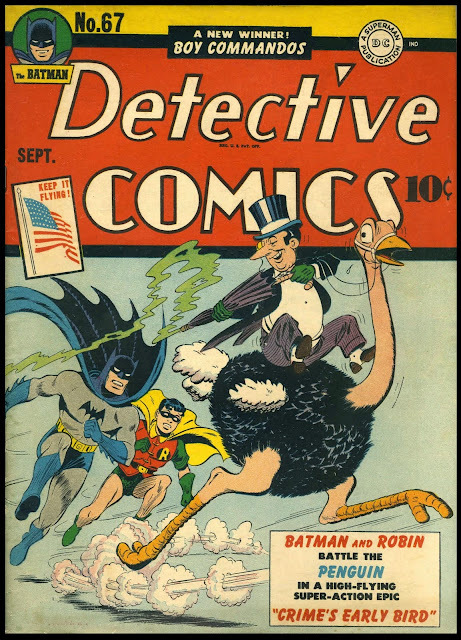 I was asked to look through all of the classic Detective Comics covers to find a good one for The Flash to run through, and we wound up with issue #67. As soon as I saw that ostrich, I knew we had a winner. Man, comics used to be some crazy fun. So here is the original Jerry Robinson cover and my follow-up. I wanted to keep some of the classic feel of the old cover, so I played it pretty straight- pencils, inks, and relatively simple color utilizing the same palette as the original.